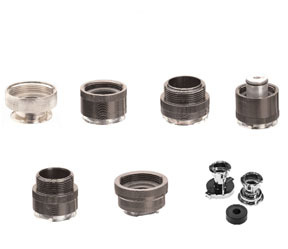 Contains popular cooling system and cap adapters for use with the Stant 12270 Radiator and Cap Pressure Tester. Adapts to many GMC/Chevrolet, Ford, Freightliner, IHC, Kenworth, Volvo and White trucks. Heavy Duty Truck assortment includes: 12015, 12026, 12029, 12032, 12033, 12042, 12450.